Early each year in February hundreds of the best college footballers are invited to the NFL scouting combine. Over a grueling four day period, players are tested in front of coaches, scouts and doctors from all 32 NFL teams. There are 6 generic drills which all of the athletes take part in to show off their talent. A 40 yard sprint from a standing start. This exercise tests the speed and explosion off the mark of the athletes. 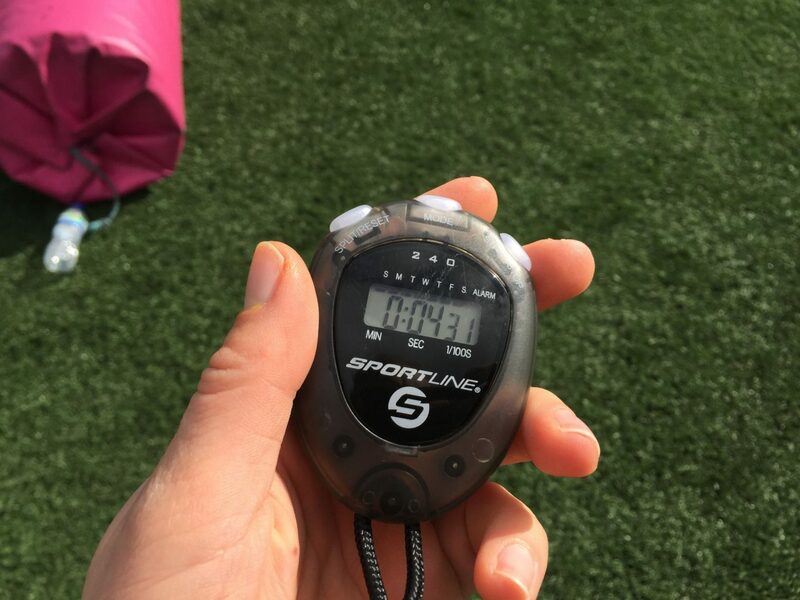 Athletes are timed at 10, 20 and 40 yard intervals. Athletes are required to rep out 102kg (or 225 lbs). This test is looking at pure strength endurance. It separates the men from the boys. This is a simple jump height test. The distance between standing height and jump height is measured. The athletes begin standing flat-footed, perform a counter-movement jump (a bend of the knees prior to the jump) off two feet and reach up to swipe the ‘vane’. From a two-footed stance, the athlete explodes out of his stance horizontally, to land with good balance. This test measures lower-body strength, explosion and power. Also known as the 5-10-5. From a 3-point stance the athlete explodes out laterally 5 yards to this right, touches the line, goes back laterally 10 yards on his left, hand touches the line, pivots and sprints 5 more yards forward facing to finish. This exercise tests the athlete’s lateral speed and explosion over short distances. Three cones are set up in an L-shape. The athletes starts from the starting line, sprints 5 yards to the first cone and back. Then turns around the second cone, runs a weave around the third cone, changes direction, comes back around the second cone and finishes. This test measures the athlete’s ability to change direction at speed. How would you do under such scrutiny? Think you could challenge these top athletes? Keep your eyes peeled for more combine related content coming soon!